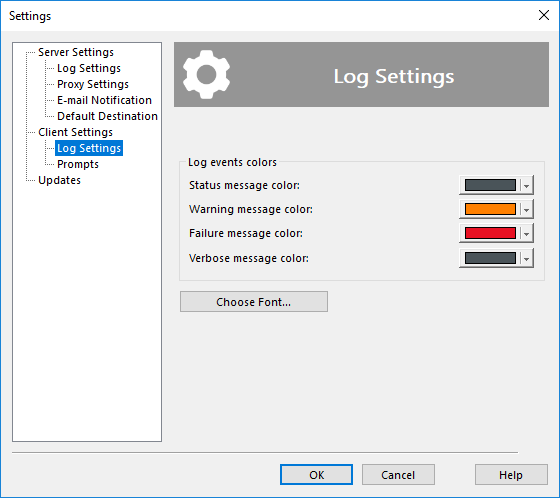 In Log Settings, you can select appearance of different messages appearing in the Log View pane of the program′s main window. These settings are client-specific. If you connect to the same instance of Handy Backup with a different client, the colors will be different.